A spokesperson of Muslim League, the party headed by Alam, said it was the 34th PSA against Masarat to be quashed by the courts. SRINAGAR: Jammu and Kashmir High Court on Tuesday quashed detention under stringent Public Safety Act (PSA) of hardline separatist leader Masarat Alam and ordered his release. Justice Muzaffar Hussain Attar of J&K High court after hearing the arguments from the public prosecutor and defence counsel of Alam, quashed the detention order under PSA of the hardline separatist leader. He also ordered release of Alam, who is presently lodged in Kathua jail in Jammu. Masarat Alam is a close aide of hardline separatist leader Syed Ali Geelani and brain behind the 2010 agitation. He has been in jail for last six years for spearheading the 2010 agitation during which over 120 people, mostly youth, were killed in security forces firing. Alam was released in April 2015 but was booked again under PSA for allegedly raising pro-Pakistan and pro-Lashkar-e-Toiba slogans and waiving Pakistani flag in a rally organised to welcome hardline separatist leader Syed Ali Geelani in Srinagar last year. Alam has been repeatedly booked under PSAs after the quashing of his detention order by the courts. The PSA provides for arresting and imprisoning a person without trial for at least six months on mere suspicion that he/she may be acting “in any manner prejudicial to the maintenance of public order”. The Act was first introduced in J&K in 1978 to prevent timber smuggling but after the eruption of militancy in the State, the J&K government regularly invoked this act to counter the separatist movement and militancy. 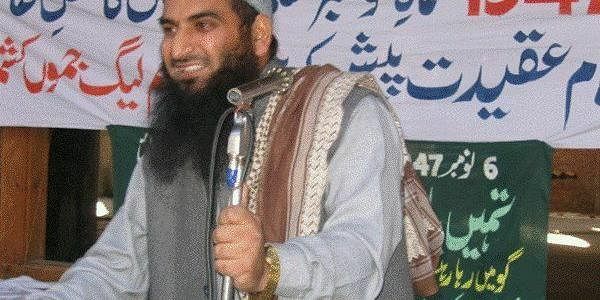 Earlier, on May 26 this year, a local court in Kashmir granted bail to Masarat Alam in sedition case and termed his incarceration as “extra-judicial” custody, which cannot be sanctioned by any legal means. The court granted bail to Alam in a case registered against him for allegedly raising pro-Pakistan and pro-Lashkar-e-Toiba slogans and waiving Pakistani flag in a rally organised to welcome hardline separatist leader Syed Ali Geelani in Srinagar last year.